For those contemplating a motorcycle touring trip to South East Asia, a great deal of information is available to you, especially for Laos, Thailand and Vietnam. This is collated and written by experienced riders who have extensive travel experiences in the regions they have covered. A key part of the Trip Planning guides is a list of links to in-depth Trip Reports by other riders/groups, show-casing the terrain, conditions, accommodations and sights along the way. Regardless of whether you eventually choose to utilize the services of the several excellent motorcycle touring companies in the region, or go it alone, the information listed in GT-Rider.com should prove valuable. GTR Guide maps are the best in the business & let you plan your trip carefully. GT Rider guide maps let you see the big picture & help you understand the road network & terrain. Insurance: before you set off it is strongly recommended to get some accident- travel insurance. Accidents always seem to happen when you least expect them & when you least need them. It’s often not your fault & even the best riders in the world can get caught out. 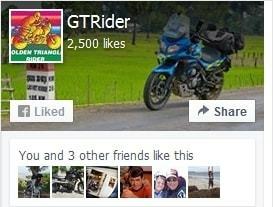 Read this scary GTR report on an extremely unfortunate accident in Laos. Thailand Bike Entry Hassles:If you are on a non-Thai registered bike, please note that in June 2016 the Thailand government threw a spanner in the works & restricted motor vehicle entry into Thailand for cars & motorbikes from countries that did not have a cross border transport agreement with Thailand. RTW bikers have been severely affected by this new policy, the original purpose of which was to deter the thousands of Chinese registered vehicles from pouring into the country. Unfortunately the general application of the new rules meant that everyone else was deterred from entering Thailand as well, unless they went via a tour company with set entry & departure points, plus numerous other government permits that needed approval one month in advance. You can read all about the new Thai transit rules on GTR here. Vientiane, Laos from across the Mekong at Si Chiang Mai. The fantastic road to Thoed Thai, North Thailand. 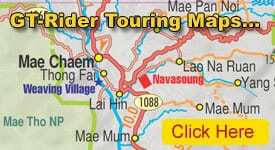 Trip Planning – Laos | S.E Asia Motorcycle Touring Forums – Trip planning information for Peoples Democratic Republic of Laos. Laos Dirt Roads & Trip Reports. A GTR directory of the dirt rides in Laos. Information on recommended routes, sites of interest etc across Vietnam. A Trip Planning Guide for Malaysia. Information covering Roads, Culture, Riding in Malaysia, Landscape and Weather, Best roads and stops of Peninsular Malaysia, When and where? ; and Clothes.